Facebook has rolled out its Live button for Android and iOS users in India. The feature was only available for Facebook pages and select users in India. Facebook has rolled out its Live button for Android and iOS users in India. The feature was only available for Facebook pages and select users in India. 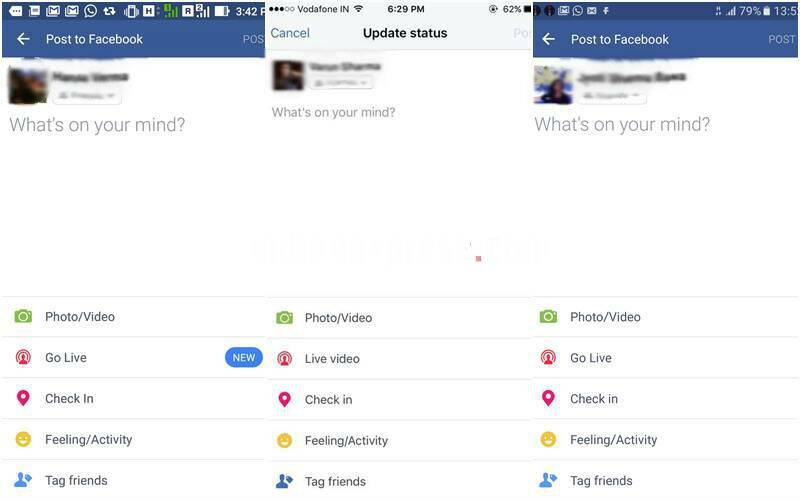 Now, individual users in India can stream Live videos using ‘Go Live’ button in Facebook Android app. The option is called ‘Live Video’ in Facebook app for iOS. The functionality for both of these buttons is the same – record Live videos. Users need to click on ‘Status’ tab to see the Live video option on their smartphones. Facebook is pushing videos as the next big thing on its platform. It has brought a host of new features to incorporate more videos, both on Facebook and Instagram. Facebook Live videos was launched last year, and the social media giant has added a host of new features since then to attract more users. Facebook users can now go live via face-swapping MSQRD app, which allows them to use different Snapchat-like filters during live video. Also, Facebook has increased its limit to broadcast Live videos to four hours as opposed the two hour limit from before. The update gives users an option to broadcast videos in both fullscreen and video-only mode. This means that if users go Live from an iOS device, they will can go full screen in portrait as well as landscape mode. Videos have become a popular form of expression across social media platforms, and Facebook has big plans for the same. But Facebook is not the only one looking at video in a big way. Recently Twitter increased its 30-second limit for videos to 140-seconds. Twitter has made it clear it sees video as a way ahead, and the company says this is their number one revenue format.